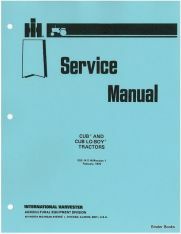 Binder Books is now part of IH Parts America, located in Grass Valley, California. 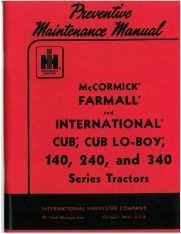 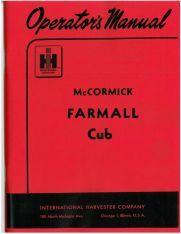 We specialize in original and reprint manuals for all types of International Harvester® Equipment, including Farmall®, McCormick Deering & IH Tractors (Farm, Crawler, and Industrial Models) and Implements built prior to 2000, Stationary Engines, IH Power Units, IH Construction Equipment, IH Trucks built through 1990 and the full line of IH Scouts and Cub Cadet Garden Tractors. 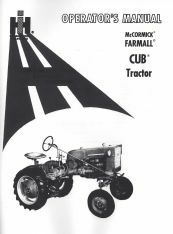 We offer thousands of titles for all types of IH equipment. 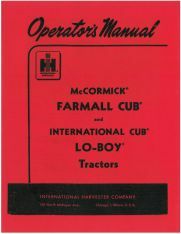 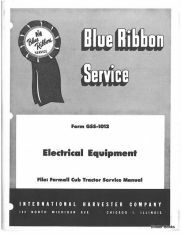 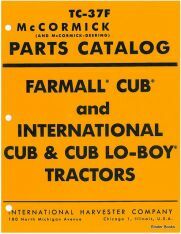 In addition, we stock some manuals for several other brands of tractors, including Allis Chalmers lettered series, Ford Tractors from 1939-1960, a few Oliver and Massey, and some John Deere, too.